NEWINGTON - A land-use development proposal that pits neighbors against each other and sparks political feuds: Does this sound familiar? 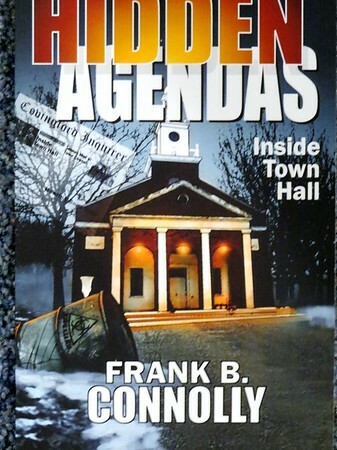 It’s the subject of former Newington Town Manager Frank Connolly’s new novel, “Hidden Agendas: Inside Town Hall.” Connolly, 76, will be at the Lucy Robbins Welles Library Nov. 15 at 6:30 p.m. to present his book. Local readers may be curious about the story and its connection to Newington, where Connolly served as assistant town manager, then town manager, between 1981 and 1990. 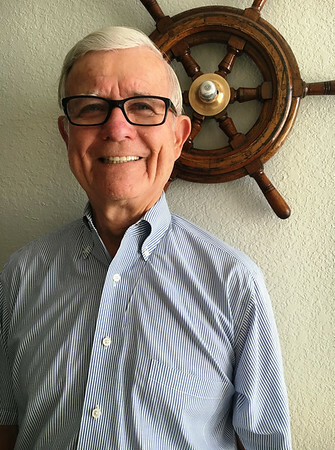 The former town resident will be quick to share, however, that his book is loosely based on situations and people he encountered over three decades of service in three different towns, including North Coventry, Branford and Newington. During a 20-year span, he kept notes as inspiration arose. It wasn’t until this past year that he put it all together and released the book with self-publishing company CreateSpace. Connolly will also delve into the writing and publishing process during his upcoming visit. He oversaw several significant projects during his tenure, including renovations of the library building. In the last decade, a national developer’s proposal to build on Cedar Mountain led to a grass roots movement by local residents, who joined forces to stop the project. It’s this type of project that was the focus of Connolly’s book. “Hidden Agendas” is set in the fictional town of Covingford, Connecticut. Out-of-town developers looking to build a shopping center near a residential neighborhood confront the town plan and zoning commission, angry homeowners and local politicians. The issue turns into a firestorm, with back-stabbing, personal vendettas and behind-the-scenes schemes. Local reporter Janet Johnson follows the situation closely and provides an objective account. Letters to the editor are sprinkled throughout the chapters. He and his wife live in Portland and spend winters in Florida. Now semi-retired, Connolly does consulting work as an interim school business manager and is an adjunct professor at New Haven University. You won’t find him at any town meetings these days. He does follow what’s going on at the local, state and national levels, reading three different newspapers a day. Connolly also wrote “Local Government in Connecticut” - a textbook that won the 2013 Wesleyan University Press Driftless Award. Both books are available on Amazon.com. “The textbook details how local governments should operate, and the novel gets into how local government often operates,” Connolly added with a chuckle. Lucy Robbins Welles Library staff look forward to featuring the author’s work. The program is sponsored by the Friends of the Library. WHERE: The Lucy Robbins Welles Library, 95 Cedar St. WHEN: Thursday, Nov. 15 at 6:30 p.m.
Posted in Newington Town Crier, Newington News on Thursday, 1 November 2018 08:02. Updated: Thursday, 1 November 2018 08:04.